If teachers treated students like future colleagues, the assault at Spring Valley High School would never have happened. A teacher at the South Carolina high school summoned school resource officer (SRO) Ben Fields to the class to remove a student for allegedly disrupting the class for the improper use of a cell phone. The SRO used extreme force to remove the student from her chair, violently cuffing her on the floor in front of the entire class, which sat stunned. The event was captured by video and went viral. And we wonder why districts and schools have difficulty recruiting black and brown teachers. It doesn’t matter what led to the violent cuffing of a black female high school student by an SRO. The results made the educational environment worse for students, the black community as well as the teaching profession. The teacher’s efforts to “discipline” one student effectually traumatized an entire classroom – if not the whole community. Policies of “zero tolerance” polices precipitated this event. Zero tolerance – punishment for any infraction of a rule, regardless of extenuating circumstances or logic -never works, but is perceived, wrongly, to be an acute fix for educators who really can’t find deeper solutions. Zero tolerance contributed to the deaths of Trayvon Martin, Eric Garner, Walter Scott, Freddie Gray and an unrecognized number of others. These unjust deaths, set the stage for heightened unrest in Sanford, New York, North Charleston and Baltimore. In schools, zero tolerance looks like the assault in Spring Valley High School. Details prior to the video accounts of the actual cuffing have not been fully revealed. However, we do know that the student’s behavior (however troublesome it was perceived to be) ceased when the officer arrived. Why couldn’t the teacher create the same result? (By the way, sitting in silence isn’t indicative of a positive learning environment) The teacher ostensibly couldn’t manage the classroom. Let’s assume the student broke a rule. But an officer should be called for more egregious behaviors, as explained in the student handbook. It’s unclear if the girl threatened someone, brought drugs in the school or carried a weapon. We couldn’t see if she posed an immediate threat from the video. But she proved not to. However, if the teacher called a SRO just to remove a student from a classroom as it appeared, then the teacher contributed to this unnecessary incident.Â As the teacher, administrator and students watched silently — with the exception of Niya Kenny, 18, who was arrested after standing up for her classmate — we saw how permeating zero tolerance was in the school. The school culture gave the SRO license to behave violently. Consequently in the very least, the teacher should be disciplined and retrained. The SRO was appropriately fired. More importantly, the school culture must change. Zero-tolerance policies never work. Police officers are not teachers. Good teaching and classroom management solves problems in the classroom. Leaning on police is a telltale sign the teacher is ineffective. When an officer is called to a classroom, one of two things happens: Either the student is either sent home via suspension or expulsion, or the student is sent to jail. The kind of learning that propels students to college and keeps them out of prison demands that students stay in school. Out of school time isn’t educational. Again, police are not teachers. Schools are not holding cells. Zero tolerance won’t make community members safer (remember, black folk are actually part of the community) or smarter. The opposite is true. Authentic teaching and learning would have developed the kind of teachers and students who would have done everything to stop the abusive officer. By institutionalizing policies of zero tolerance, we’ve removed some of the teachers’ primary responsibilities. The teacher must create a learning environment that can cultivate future educators. During the time when schools desperately need STEM as well as black and brown teachers, we’re stalling the teacher pipeline at its beginning. Teachers are modeling how to devalue black students instead of ushering them into the profession. Zero tolerance has traumatized black people into accepting blatant civil rights violations like a sage on a stage. But injustice won’t be our teacher. Black lives matter. But it’s clear that black students are not valued. The educators of Spring Valley would have never allowed the young lady to be slammed to the ground if they viewed her as a future teacher. 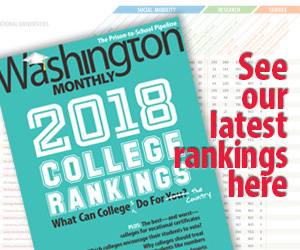 This story was produced byÂ The Hechinger Report, a nonprofit, independent newsÂ website focused onÂ inequality and innovation in education.Â Read more columns by Andre Perry.